What a treat this invented slice of dance history is. Inspired by the international touring of such dance legends as Anna ‘The Dying Swan’ Pavlova early in the 20th century, Liz Lea has mounted a fabulously ambitious little show for which she co-designed the drop-dead-gorgeous costumes. The glamour puss dancer-choreographer also takes the lead, narrating the saga of a fictional Australian troupe and its breathless adventures on the road. The moves Lea and three fine dancers execute are mainly her smart, stylish take on social dance, ranging from the tango and Charleston to the waltz, with a treasure trove of archival film footage as backdrop. For the record, the title refers to the number of feathered creatures Pavlova is said to have taken away after her last tour Down Under. On press night the production was still a little rough round the edges, but that doesn’t detract from the care with which it’s been assembled. 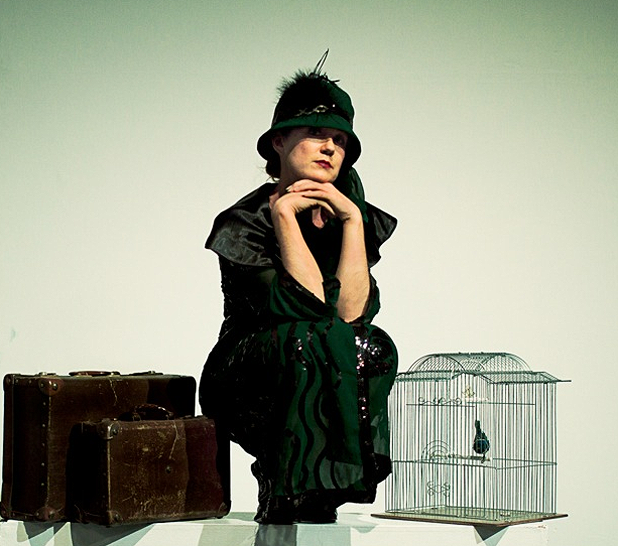 20 Birds is as much a labour of love as My Name is Margaret Morris (also on at Dance Base this Fringe), Stuart Hopps’ solo tribute to a real-life UK modern dance pioneer. Dance Base, 225 5525, until 22 Aug, times vary, £5.